Quad bikes are loved because of their flexibility, durability and exciting ride. They tend to have this uncanny ability to last for years, which only endears them more to people. However, because quad insurance is a specialist insurance product, it can be tricky to find the right cover for your quad. 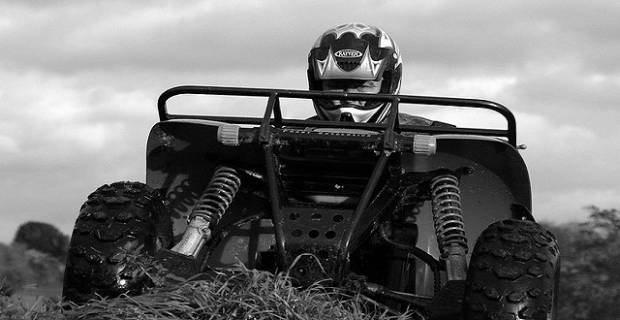 Here’s what you should know about quad bikes insurance requirements in the UK. All motorbike insurance policies are underwritten by leading insurance companies, including policies for classic motorbikes, sports bikes, modified bikes, scooters and quads. You can get limited and unlimited mileage policies and agreed insurance value cover from most reputable insurers. To drive a quad bike on the road, you are required to have a minimum of third party quad bikes insurance. Additionally, your quad bike must be registered with DVLA, approved, taxed and even have an annual Ministry of Transport test (MOT) if necessary to be used on the road legally. Furthermore, your quad bike must have front and rear number plates for on-road use. You don’t, however, need a driving licence to ride a quad bike off-road. Third party motorcycle insurance cover is the most basic insurance you can get for your quad. The policy covers you against damage to the property of a third party and also injury to the third party themselves. This cover is usually cheap compared to Comprehensive motorcycle insurance. Comprehensive motorcycle insurance, also known as “fully comprehensive” UK motorcycle insurance policy, covers you against third party injuries and damages, as well as fire and theft to your quad. This policy will also pay-out for any damage to your own quad regardless of who caused the accident. Specilised insurers like Quad insurance and Performance Direct have online motor cycle insurance quote engines you can use to get insurance quotes for a wide range of bikes, including quads. These insurers usually also offer expert insurance advice based on each individual’s personal circumstances. Take advantage of this service to ensure you get the right quad bikes insurance for on-road or off-road use. 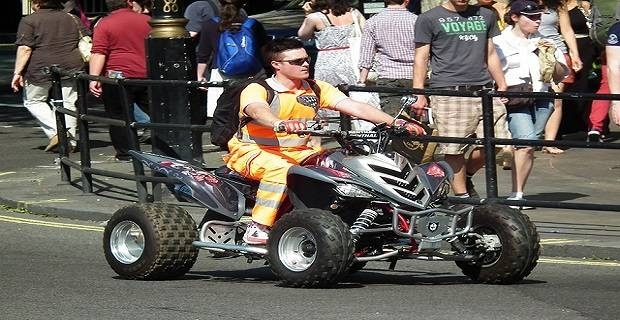 Avoid rushing to buy quads or quad bikes insurance online. Take your time and research and compare quotes from different companies to find a reputable company with the most attractive deal. Remember if an insurance quote or quad deal is too good to be true, it probably is.